This encompasses alot of what we do here at Arbor Creek. Wellness care to us, means the balanced approach of looking at all of the aspects of your pet’s health. This includes appropriate vaccinations, parasite control programs, behavior evaluation, screening tests, nutrition evaluation, exercise and socialization, and routine examinations to ensure your pet maintains optimum health. 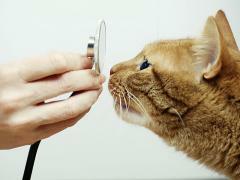 Vaccinations have long been the main reason to take your pets to the veterinarian’s office. “Taking your dog to the vet”, used to mean that they would go in for ”yearly shots”. This has changed dramatically in the past 10+ years as we have seen dramatic advances in the care that we are able to provide for pets. Vaccinations are still important to prevent infectious diseases from transferring from one animal to another and also for human health prevention for incurable, fatal diseases such as Rabies. The recent discussions on over-vaccination and the subsequent health problems have led to the develop of antibody screening tests where we are now able to draw a blood sample and measure your pet’s level of protection to many different bacterial and viral diseases. If your pet’s antibody levels are sufficient to provide protection against infectious disease, they may not need a booster. We can determine which option will be best for your pet. Parasite control plans are designed to provide your pet the protection they need from harmful parasites that can cause disease by directly feeding on tissue and blood or from the harmful waste products that they produce. We will develop a plan to control parasites in the intestines and GI tract, bloodstream, tissues such as liver, muscle and lungs, and external parasites such as mites, fleas and ticks. Depending on your pet’s health, age and lifestyle, we may suggest screening tests to monitor liver, kidneys, immune system and thyroid functions. We feel it is better to prevent, slow or stop disease progression rather than try to fix it at a much later stage. Nutrition is a huge part of your pet’s health. “You are what you eat.” Ask us about the different types of dog and cat foods for more specific information. See the nutrition section for more information. Routine examinations are recommended every 6-12 months. Many times we will find lumps, bumps, abscessed teeth, indications of thyroid problems, kidney dysfunction, lameness and many other things that you may not be aware of due to their slowly progressive nature. There may be subtle signs that don’t necessarily alert you to a problem because our dogs and cats adapt to whatever situation is affecting them. They don’t complain to let you know if their hips are hurting or are having pain from infected teeth. We are trained to look for these subtle signs and can discuss any potential issues with you. We are here to help maintain optimum health for your pet. We will recommend all tests and treatments that are available but also understand that there are many other factors that go into making decisions for your pet’s healthcare. We will work with you to come up with the best option available for your situation.